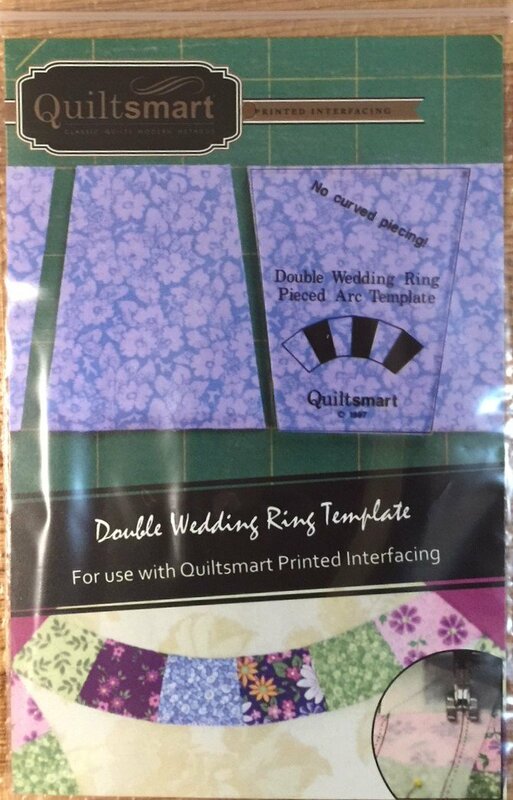 This template cuts the wedges for the Double Wedding Ring pieced arc quilt. Center over 2.5" strips! Laser cut and easy to use! Made to go with the Quiltsmart fusible printed interfacing and instructions. Featured in the video below!